Our mission is to help business owners and entrepreneurs who are new to online business get established and achieve a valuable online presence through easy to understand online resources, insider tips, and links to other useful websites with valuable products and services. If you’re not already set up online, the internet can seem like a daunting place. Or maybe you’re already online but things don’t seem to be going as good as you’d like them to. With all of the information and strategies out there, figuring out where to even start can seem impossible. That is exactly why we’ve set up this site. 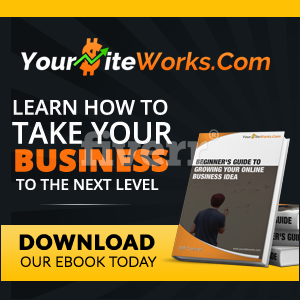 We’ve taken over 10 years of experience doing business online and distilled our favorite tips, tricks and strategies down into a series of easy to understand online e-books that focus on planning, executing, and optimizing your online business. In order to help you navigate the online business world, we make an effort to stay on top of the latest strategies, trends, and products that make online business and online marketing easier. Read our Blog to find out what other companies we think are doing a great job. 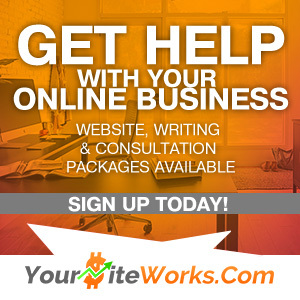 To get the full YourSiteWorks experience, we recommend signing up for our Newsletter. With this feature, you’ll not only receive regular updates and summaries of our blog posts, you’ll also receive notices any time we post a new e-booklet. We also include lots of stories and references to other people who have achieved success with their online business using our tips, or even using somebody else’s. The goal is to provide you with the information you need to succeed. While we can’t guarantee what will work best for you, we can share our first hand experiences with the hope that you may find them useful as well. Our goal is to empower you to be successful on your own, and to get online the quick and easy way.